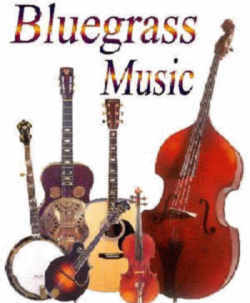 Bluegrass music is designated as the official State Music of Kentucky in 2007.
;Bluegrass is an American grass roots music influenced by Irish, Scottish and English traditional music. Bluegrass was inspired by the music of immigrants from the British Isles (particularly the Scots-Irish immigrants in Appalachia), as well as jazz and blues. 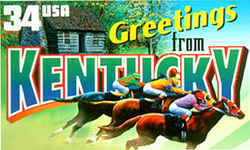 The bluegrass music genre is associated with the entire state, not just the bluegrass geographic region (Kentucky is nicknamed The Bluegrass State). The roots of bluegrass reach back to the music brought to America by immigrants in the early 1600s, including dance music and ballads from Ireland, Scotland and England, as well as African American gospel music and blues. In fact, slaves from Africa brought the design idea for the banjo--an instrument now integral to the bluegrass sound. 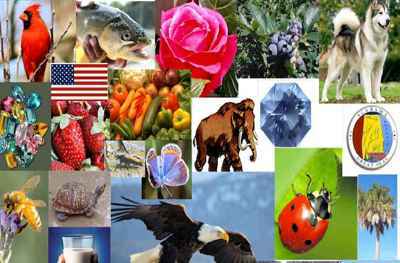 As the early Jamestown settlers began to spread out into the Carolinas, Tennessee, Kentucky and the Virginias, they composed new songs about day-to-day life experiences in the new land. Since most of these people lived in rural areas, the songs reflected life on the farm or in the hills and this type of music was called "mountain music" or "country music." The invention of the phonograph and the onset of the radio in the early 1900s brought this old-time music out of the rural Southern mountains to people all over the United States. Good singing became a more important part of country music. Singing stars like Jimmie Rodgers, family bands like The Carter Family from Virginia and duet teams like the Monroe Brothers from Kentucky contributed greatly to the advancement of traditional country music. The Monroe Brothers were one of the most popular duet teams of the 1920s and into the 1930s. Charlie played the guitar, Bill played the mandolin and they sang duets in harmony. When the brothers split up as a team in 1938, both went on to form their own bands. Since Bill was a native of Kentucky, the Bluegrass State, he decided to call his band "Bill Monroe and the Blue Grass Boys," and this band sound birthed a new form of country music. 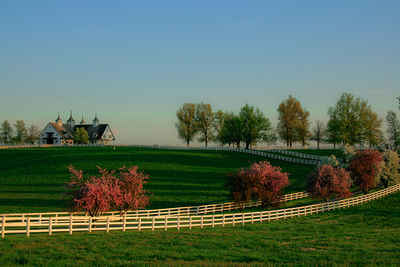 Bluegrass music is named and designated the official state music of Kentucky. History: Created 2007 Ky. Acts ch. 12, sec. 1, effective June 26, 2007.